PharoDercks gallery is proud to present Marcus Carlsson, an internationally successful artist, who has already attracted a great deal of attention in a short period of time. He won several awards, among others in 2016 the “International Art Prize” Uffizi – Florence ” and the” Tiepolo – Arte Milan “. After exhibitions in Florence, the MAMAG (Modern Art Museum Austria), the Expo “Carrousel du Louvre” Paris, and exhibitions in New York, Washington, Milan and Shanghai, it was time to go for Berlin. 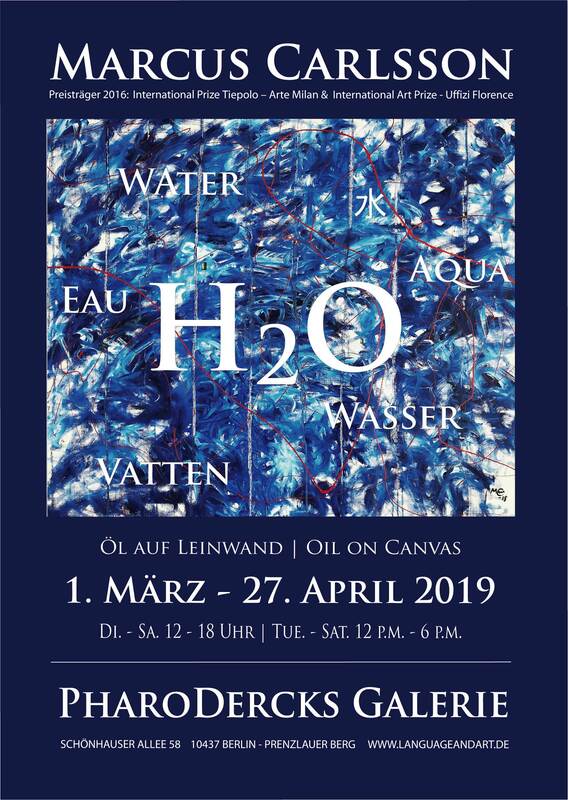 At PharoDercks, Marcus Carlsson presents his latest works, exclusively for Berlin, with the defining element connecting him with Berlin, H2O – water. Berlin lies, lives and loves on, in and at the water. H2O is within – and for Berlin a defining element, a continual theme. Thats Marcus Carlssons topic for his Berlin exhibition 2019. Presenting his abstract paintings, playful, full of anecdotes. 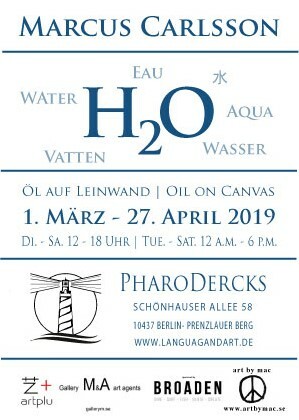 From 1st of March to 27th of April, he presents his works at PharoDercks – at the gallery on Schönhauser Allee. ... has many facets. Originally a professional photographer working all over Europe, his main focus in the last decade shifted increasingly to painting. In this field, his works won prizes, and he has made a name for himself on 3 continents. 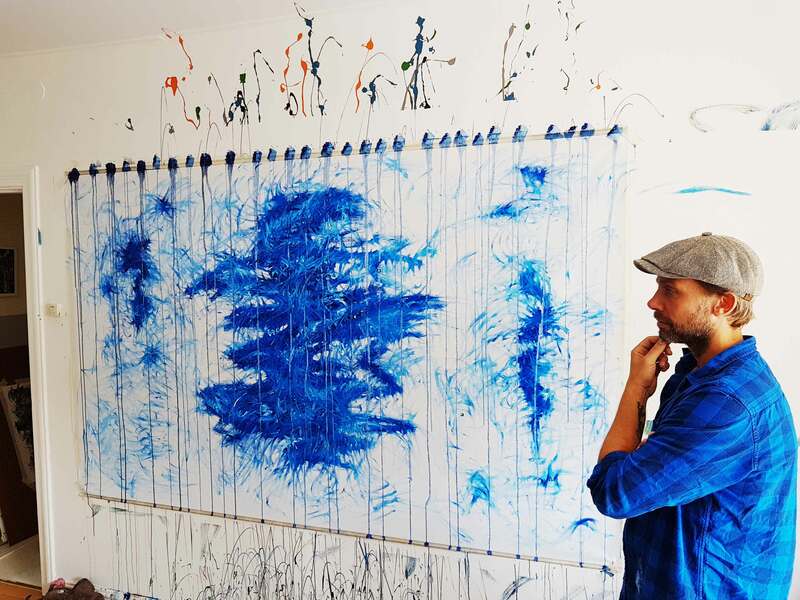 Born 1977 in Teckomatorp, Sweden, the artist continues to devote himself to video art and photography (http://www.artbymac.se/) in addition to painting. 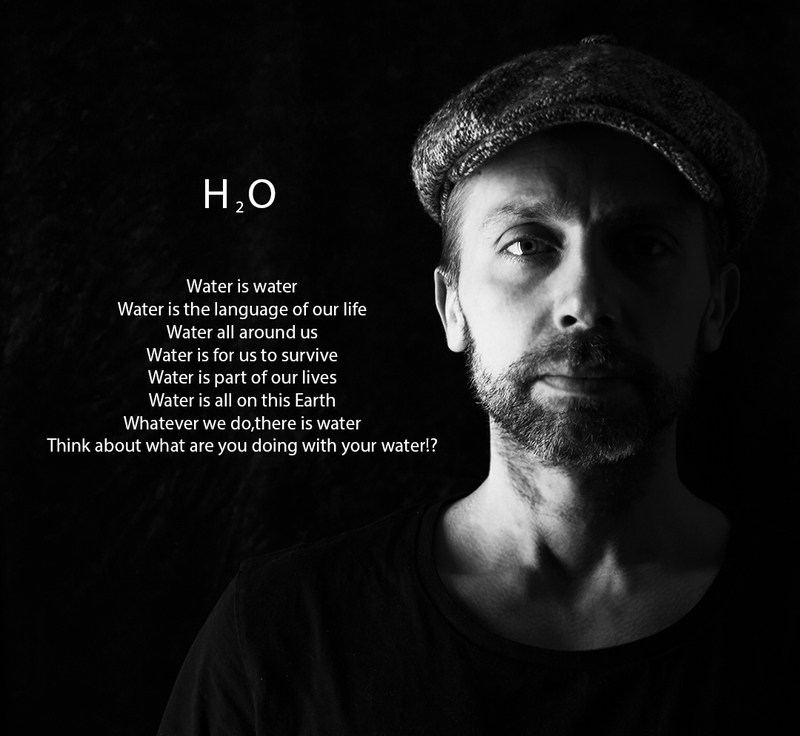 His latest project “Berliner Reihe – H2O” will now be presented exclusively in Berlin. Gallery PharoDercks presents regularly changing exhibitions, ranging from drawings, paintings and photography to video installations and sculptures. Berlin art, Berlin artists and friends of the city, form the field of tension of our exhibitions, together with topics that move this city. The gallery is located directly on the Schönhauser Allee, at the Prenzlauer Berg district, on one of the most famous and lively boulevards in Berlin - just a stone's throw away from Mauerpark and Kastanienallee. You can reach us quickly and easily by subway or tram. The stations UEberswalder Straße and S-Schönhauser Allee are within walking distance. […] Art as I do it today is a mixture of the COBRA movement and action painting of the abstract expressionism. My vision of the abstract art is the chaos and the strictness combined giving a depth to a painting and that is what I always add to any series of my paintings. When I give a name to my art I also send a message with it and that means a lot to me. There are always one or more boxes in the paintings, it comes from my background as a photographer where an image is composed of square ”pixels”. I convey a message through my paintings and then the viewer himself can experience and feel and let their imagination flow. Water covers 71% of the Earth’s surface.It is vital for all known forms of life. 1.7% in groundwater, 1.7% in glaciers and the ice caps of Antarctica and Greenland, a small fraction in other large water bodies, 0.001% in the air as vapor, clouds (formed of ice and liquid water suspended in air), and precipitation. Only 2.5% of this water is freshwater, and 98.8% of that water is in ice (excepting ice in clouds) and groundwater. Less than 0.3% of all freshwater is in rivers, lakes, and the atmosphere, and an even smaller amount of the Earth’s freshwater (0.003%) is contained within biological bodies and manufactured products. A greater quantity of water is found in the earth’s interior.